The Sunbeam 46.1 was proclaimed Luxury Boat of the Year 2019 for its magnific design: elegance, ergonomy and performances are blended to make for a blue water cruiser sturdy and easy to handle. The indicated price is ex-taxes and possible options. 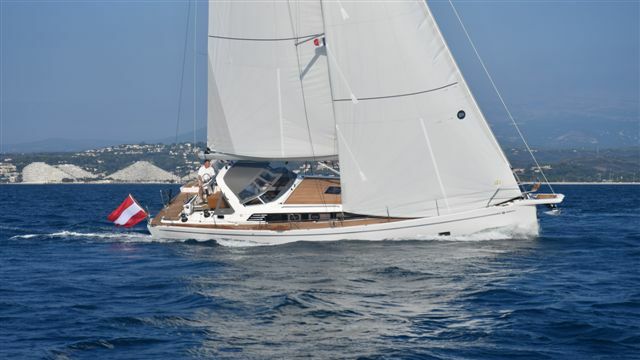 Designed by the Jakopin Brothers in collaboration with the Yard's internal Design team, the new Sunbeam 46.1 follows the line of the previous 40.1 and shows so many innovative features that convinced the Boat of the Year Jury to proclaim it as a winner in the Luxury Cruisers class in 2019. The reasons are based on its design elegant and ergonomic either on deck and below decks and in the quality of the craftmanship and the materials used to built it. The Sunbeam 46.1 has many interesting features: two forward anti collision bulk-heads and one aft, a central roll bar over the companion-way were the mainsheet track is fixed, thus leaving the cockpit free from any encumbrance. The interior offers three ample cabins with two heads. A big galley and spacy saloon are fully illuminated by many windows and decorated with real wood. To resume it all: the Sunbeam 46.1 has a similar level to the Italians best cruisers for design, elegance and performances and a similar level to the Swedish best cruisers for sturdines, safety and craftmanship.